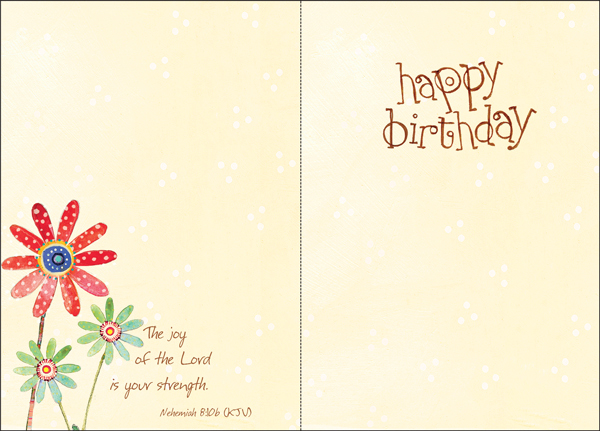 Christian Boxed Greeting Cards|Buy Birthday Cards Today! The happy message and bright, colorful flowers on the card will make someone smile! 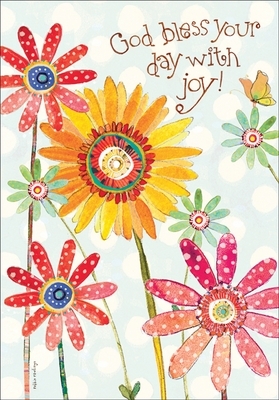 What better birthday wish could there be than a prayer that God would bless the day with joy? Colorful art inside along with a scripture verse and room for your own personal birthday message. Proudly made in the USA. Front: God bless your day with joy!